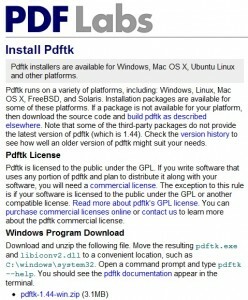 Pdftk is an acronym for PDF Toolkit, a popular free and open source application to modify and edit PDF files. Unless you are the original creator of a PDF file and have all the rights to modify or edit it, it can be very tiresome to edit one belonging to someone else. In such situations, Pdftk can help you out and the front end GUI easily give you full access to do whatever you want with a PDF document. Although Pdf reader is provided free from Adobe, PDF writer is not. It comes at quite an expensive price. Pdftk is simply a better alternative for Adobe PDF writer. The following are some of the commonly used command line examples to show you how you can edit files using Pdftk. You can use the official Page to download this program directly. Do not use any third party links which might carry a patched code or Malware associated with it. We have added the official download links for your ease. The best thing about this program is that is free to use and download. If you like the program, you can donate it to the developer. Pdftk builder is a portable version of this program and comes with almost all the necessary features. Although you can use it to do all common PDF editing, it sure lacks some advanced feature of the core program. 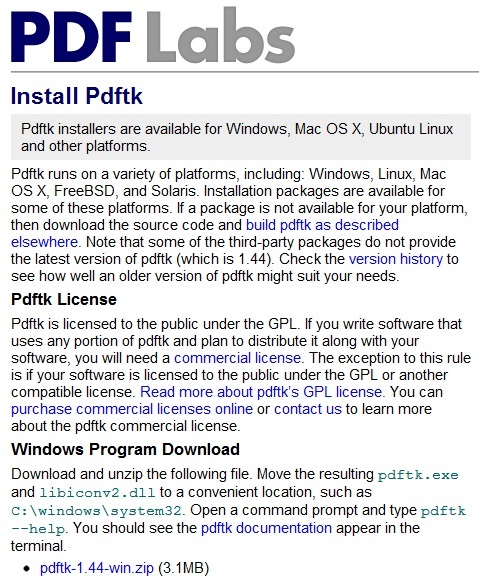 Pdftk is undoubtedly the best free program which can help you edit PDF files. If you have any problems using this program, you can ask for help using the comment section or refer to the program manual.